In a nutshell, a wireless home entertainment system consists of a wireless set of speakers, which are connected to a wireless network. This definition is overly simplified, of course, so let’s get into the nitty-gritty details. I don’t know about you, but I really like the idea of having wireless speakers installed in my home. Who wouldn’t want to get rid of all those wires, after all? However, if you thought that wireless speakers don’t use wires at all, it’s time for a reality check. Your speakers need to be powered to deliver that punchy sound, so you will actually need wires to connect them to the power plug. The explanation is simple: your speakers also include power amplifiers, and if they are strong enough, they can’t run on batteries. Still, this is a small price to pay, because the connection to the signal source will be made without wires. You won’t need the long wires that are supposed to connect the signal source – your DVD player, for example – with the speakers. So how does the wireless system work? There are three main technologies: Bluetooth, Wi-Fi and HomePlug. Bluetooth has made its way into lots of gadgets several years ago. 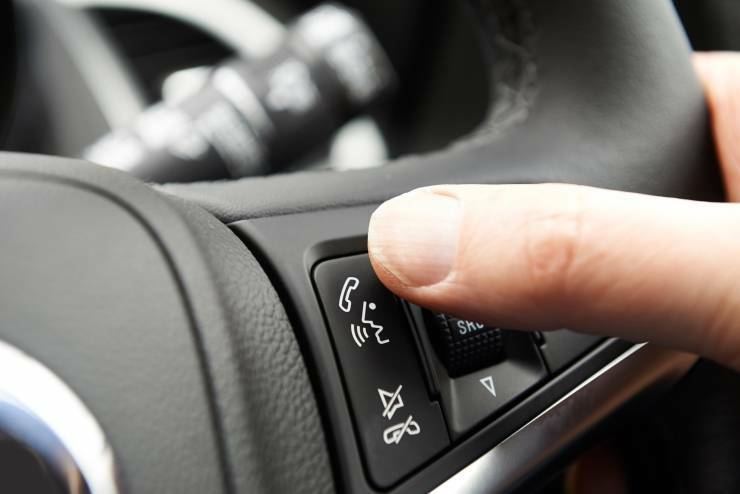 Its goal is to connect various devices over a range of 30 feet or so, making it perfect for in-car audio, for example. Most home theater receivers are now equipped with Bluetooth technologies, thus being able to get audio and video content from smartphones, computers, and so on. Wi-Fi networks have become increasingly popular within the last few years. They are better than Bluetooth, because even though they use the same 2.4 GHz frequency, their bigger antennas lead to longer ranges, and they are supported by a much broader array of gadgets. The system works by making use of wireless transmitters and receivers which communicate with a central router. 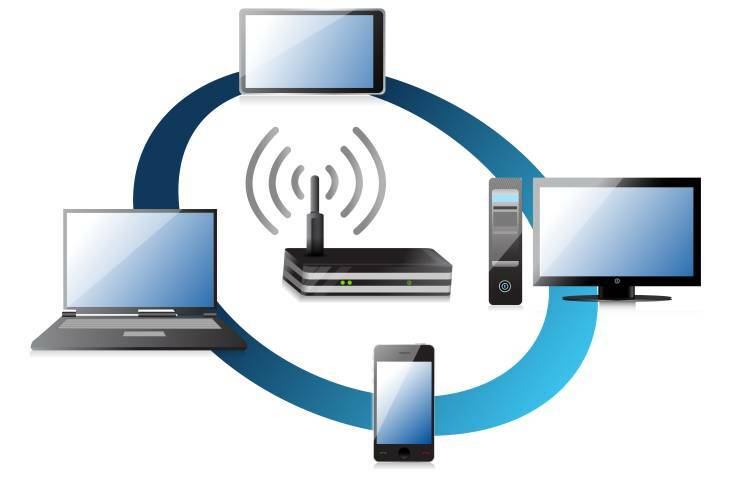 This way, any device that is connected to the router can communicate with the Internet and with the other devices that are connected to the same network. Many media players, DVD and Blu-ray players, smart TVs, and so on, make use of Wi-Fi technologies nowadays. And the explanation for this explosive growth is very simple: Wi-Fi makes it easy to share and use content on a large variety of multimedia devices. This technology is actually derived from Power-Line, which helps people extend the range of their Wi-Fi networks. HomePlug uses the AC wires that are already installed in your home to transfer audio and video. The system works by making use of circuits that convert audio signal to a higher frequency, which travels along the AC wires. At the other end, a different converter restores the audio signal, feeding it into the amplifier, and then to the speakers. 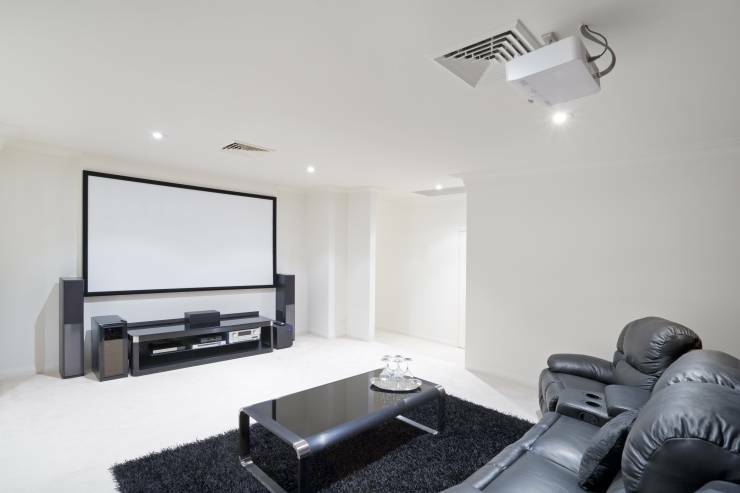 Designing a wireless home theater may sound like a great idea, but before you get to work, you should be aware of the downsides as well. First of all, no system can beat the quality of a wired audio and video connection. Most people will not notice the differences, but if you are an aficionado, you’ll want to gain peace of mind by knowing that you have maxed out quality by using wires, rather than wireless technologies. With Wi-Fi devices, signal drops can occur, especially when you’re streaming high-quality video over a wireless connection. Of course, there are ways to prevent this from happening by moving the wireless device closer to the router, by adding a wireless range extender, and so on. As mentioned in the introduction, Bluetooth works over short distances. The devices should operate properly if they are located in the same room, but for longer distances you may want to look at an alternative solution. HomePlug will do its job properly most of the time, as long as there aren’t any other transitory signals across the AC wires. Still, if your neighbors use power tools all day long, your multimedia consuming experience may be affected. Don’t let these thoughts scare you, though! Wireless home theaters are here to stay, and the technologies that power them are getting better each year.